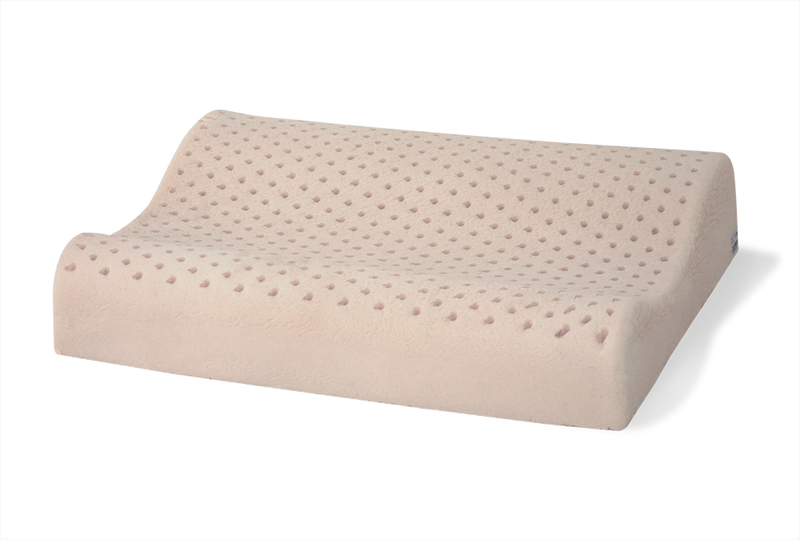 100% organic Dunlop contour latex pillow, medium/firm feel covered in our 100% GOTS certified organic cotton zipper-off cover. If you like neck support this is the pillow for you. The two contoured neck bolsters on either side (thick side and a thin side) let you choose how much neck support you need. The design allows your head to lay on a flat cozy surface while your neck is properly supported and in cervical alignment with your spine. Very similar to the popular Temperpedic pillow, but all natural. 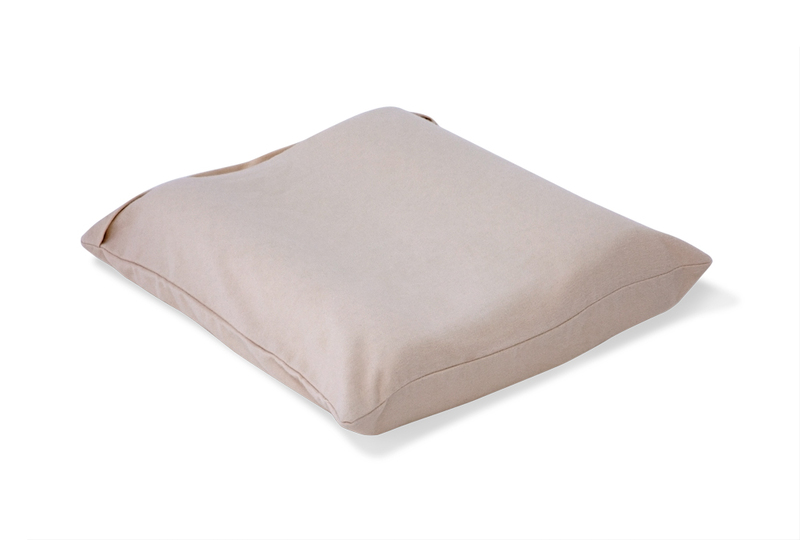 If you’re looking a more adjustable option, check out our signature latex pillow.